Consumer behaviors are changing, and mobile technologies are among the predominant influences affecting the shift. 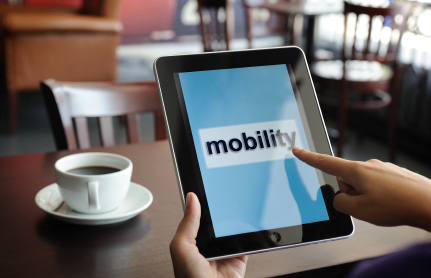 More than 50% of all local web searches take place with mobile devices. 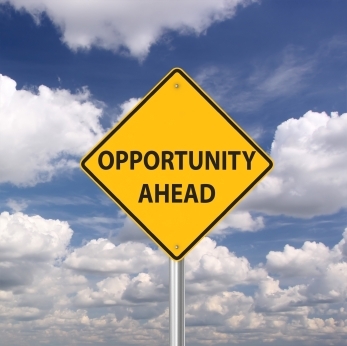 That spells opportunity for businesses that have a mobile marketing strategy. Success with mobile marketing starts with understanding your customers and then implementing an appropriate strategy. Although some marketers are known to embrace new technologies without first considering their full impact on the consumer. This has proved to be true with QR codes. Notwithstanding the buzz surrounding QR codes’ ineffective applications have chilled some of the enthusiasm for their use as mobile marketing triggers. To help solve this problem, technology giant Microsoft, creators of the MS tag technology that competes with QR, has stepped forward. 2d codes activate or trigger the mobile cycle. Microsoft realizes QR codes and MS tags, in addition to other technologies, all serve distinct purposes. 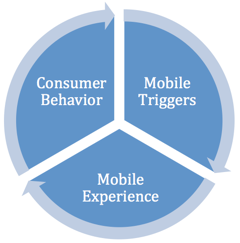 Collectively, they are an ecosystem of mobile triggers that offer choices for marketers and consumers alike. So the logical solution was to bring them together into one reliable platform. The MS Tag Manager makes it easier for marketers to use QR, MS tag, and other mobile technologies not just to reach consumers, but also to brand the experience and gather rich data for delivering even more favorable experiences in the future. The Microsoft Tag Platform with Tag Manager. To be more specific, you can now generate QR codes and MS tags with the Tag Manager, and also track a number of consumer actions associated with the use of those 2D codes. This is just the beginning, as there are plans to integrate additional mobile technologies, with the first being NFC—Near Field Communication, a technology used for digital payments and other secure mobile activities. Needless to say, if you have not been considering mobile marketing, these developments may change your mind. If you are new to 2D tags, you will find these Social Media Examiner articles especially helpful: How QR Codes Can Grow Your Business and 5 Steps to a Successful QR Code Marketing Campaign. Now that you can use the Tag Manager software to create MS tags and QR codes, and use the Microsoft Tag Reader to scan or read either 2D code, which should you choose? According to Elliott Lemenager, social media manager for Microsoft, the key is to recognize that both are just triggers for digitally linking to mobile devices to activate a favorable consumer experience. Is the QR code more likely to be scanned by your community because it resembles the familiar linear barcodes, or is a branded MS tag more likely to engage a prospective customer? Scanning this branded MS Tag takes you to the author's mobile friendly site. All of these technologies are vehicles to connect the digital with the physical world. Each can be used separately or in combination. For example, QR could be used to deliver discount coupons, and Tag for offering a branded link to marketing materials. Why not test the response rate by using both in your next mobile marketing campaign? The MS Tag Implementation Guide and video below show how easy it is to create either of these 2D codes using the Microsoft Tag Manager. What else could be coming to this platform? Use your imagination—anything digital. Think about what’s on your mobile device now: music, video, images, voice and games. These are all part of the mobile ecosystem, and therefore present opportunities for marketers and consumers to better communicate and interact. What will work best for your business will depend upon a number of factors, with two of the most relevant being location and social context. Consumers have embraced mobile for a variety of reasons, not the least of which is convenience. What is convenient is typically used more frequently, and when it is mobile, in a variety of different contexts. Opportunity lies at the intersection of social, local, and mobile. Image: iStockphoto. This context is the intersection of social networking, local-based marketing and mobile technologies—something that is proving to be a marketing sweet spot. Mobile is local—something that should interest every small business that wants to reach and interact with consumers when and where they are most receptive, and in ways that they expect. One of the keys to location is that it is unique. What matters to consumers in a smaller town may or may not align with the needs of those in an urban community, even when they share otherwise similar demographics. For example, if you live and work in a large city, having a nice car that is subject to theft, accidents and other environmental conditions may not be a consideration. A local business will know this, but it may not be obvious to a business that is simply trying to be local. According to Facebook CEO Mark Zuckerberg, the social version of anything is more engaging and will outperform nonsocial. If he is correct, then the location aspect of mobile marketing is even more relevant if your friends are involved. One thing is clear: There is a reason why Facebook Chief Technology Officer Bret Taylor recently stated that within the next three years, nearly every Facebook employee will be working on mobile. Mobile has the advantage of using social context to enhance search. Google Search, plus Your World is one example of how this will work. The challenge is to determine what information is most relevant to the success of your business. Is it the location of your prospective customers or what they are sharing with their friends in that location? As a consumer, where and when you are, and whom you are with, are all that matters. Each and every one of us is the center of our own universe. That’s the opportunity for marketers—to learn more about what is central to their customers and how their business can become integral to those experiences. There is an axiom in business that if you choose not to measure something, you are saying it is not important. Everyone likes to count profits, but measuring the consumer behaviors that contribute to profits is what will encourage their growth. One method for accomplishing this is a strategic use of 2D codes. Mobile marketing should always consider consumer context. Image: iStockphoto. 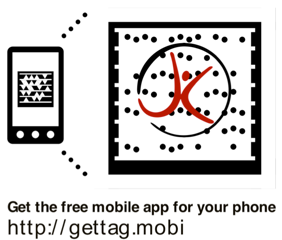 Using Tag Manager, you can create MS tags and QR codes that will track a number of mobile actions, with all of them being free. For example, you can track the location of your customer by zip code, or longitude and latitude. This you can accomplish on your own. However, if you are willing to enlist the help of a developer, you can also track more specific real-time actions, such as scans by the type of device. 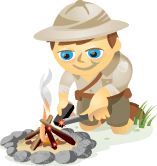 The investment will be modest, not unlike that of periodically upgrading your website. To take advantage of all of these tracking capabilities, the URL of your 2D code has to lead to a link on the web or a native app on a mobile device. You only have to add a few additional characters to your URL when generating the code. When that code is scanned, the mobile device shares the desired information. Of course, the user device has to have geolocation activated. Additionally, the user must be using the MS Tag Reader when scanning the code. This will clearly not be a problem if the code is an MS tag. However, because there are many QR code readers, this presents a problem. Microsoft clearly has a marketing challenge to encourage more widespread use of the Tag Manager platform. It is going to be an uphill battle, but it can certainly be won. To be clear, gathering data on the actions of consumers with 2D codes requires generating that code with a service that offers code management capabilities. Thus, you have to entrust your codes to someone, and this is one reason why an established company like Microsoft has a shot at building a platform that becomes a destination for mobile marketers. One of the cardinal rules of marketing is you have to meet your customers where they are, and customers today are increasingly mobile. The new playground for marketers is social, local and mobile, and a successful mobile marketing strategy using 2D codes will place your business there in real time. What do you think? Is your business ready to play? Leave your questions and comments in the box below.